Australia has revealed for the first time that the country conducted a remote cyberattack against ISIS commanders in the Middle East to disrupt communications, all coordinated with Coalition fighters on the ground. Offensive cyber operations are typically the kind of thing that governments around the world keep pretty quiet. 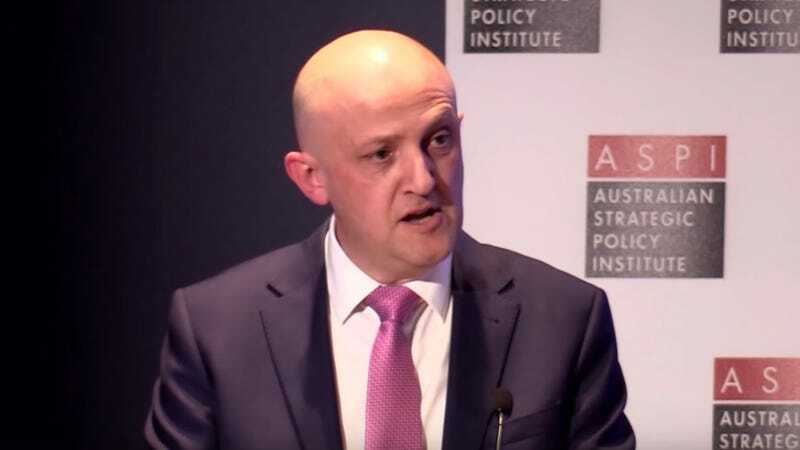 But Mike Burgess, Director-General of the Australian Signals Directorate (ASD), delivered a speech today that boasted of Australia’s fight against ISIS from almost 7,000 miles away. The ASD is roughly equivalent to the National Security Agency (NSA) in the U.S.
“Just as the Coalition forces were preparing to attack the terrorists’ position, our offensive cyber operators were at their keyboards in Australia–firing highly targeted bits and bytes into cyberspace,” Burgess said at the Lowy Institute think tank in Sydney according to audio released by the group. The specifics involved in the operation, including the exact number of ISIS fighters that had their communications disrupted, were not disclosed. But Burgess did tell another story about how Australian cyber specialists were able to catfish an alleged terrorist recruit from halfway around the world. Our operative typed in deliberately broken English and was so convincing, she was able to influence the man’s behavior. Why is Australia publicizing this work now? The country wants to recruit more cyber specialists and seems painfully aware that the work can be seen as unglamorous because workers aren’t allowed to talk about it for national security reasons. “By being more transparent about what the work really involves we hope that a wider range of people might consider a career in ASD’s offensive cyber mission,” Burgess said.